Annapolis Radiology Associates was founded as Brown, Croft, & Frazier, P.A. Senior members of the group have been practicing continuously in the Annapolis area since 1962. From those beginnings, the group has grown to now include 18 radiologists, 3 radiation oncologists, 1 nuclear medicine physician, and 4 full-time staff members, all dedicated to providing the highest quality imaging and radiation oncology services in the Annapolis and Chesapeake Bay areas. 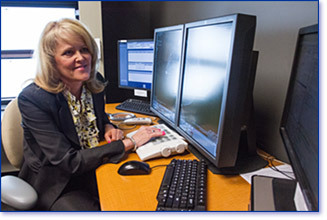 Eighteen diagnostic and sub-specialty trained, board-certified radiologists provide imaging services and interpretation and perform image-guided interventions at the Anne Arundel Medical Center and six outpatient facilities in the Chesapeake Bay area. Three radiation oncologists provide radiation therapy services at the Anne Arundel Medical Center. Our physicians provide 24-hour imaging and intervention services at AAMC, and we are available for physician consultation at any time. We are dedicated to providing university quality radiology in a patient-friendly community setting.